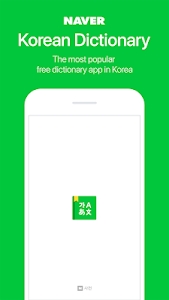 Provided by NAVER.COM, the No.1 search portal service in Korea, this dictionary app offers accurate and abundant contents. 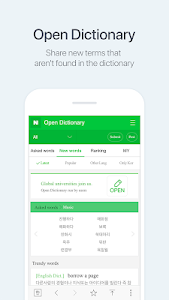 - Easy search with word auto-complete feature! 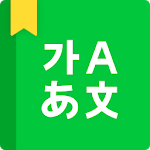 - User Translation: Challenge yourself with Korean↔English translation! 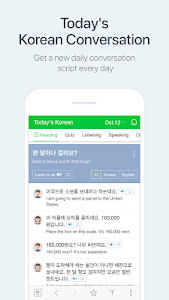 See NAVER Dictionary Official Blog (http://blog.naver.com/dic_master) for more information. 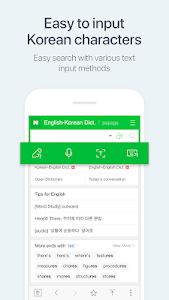 Please leave your inquiry with NAVER Dictionary Customer Center ( http://naver.me/FXOX8rQt ) in case a problem occurs while using the app. 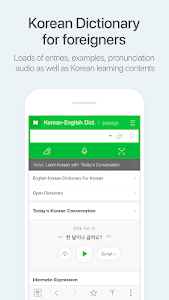 Similar to "NAVER Korean Dictionary"